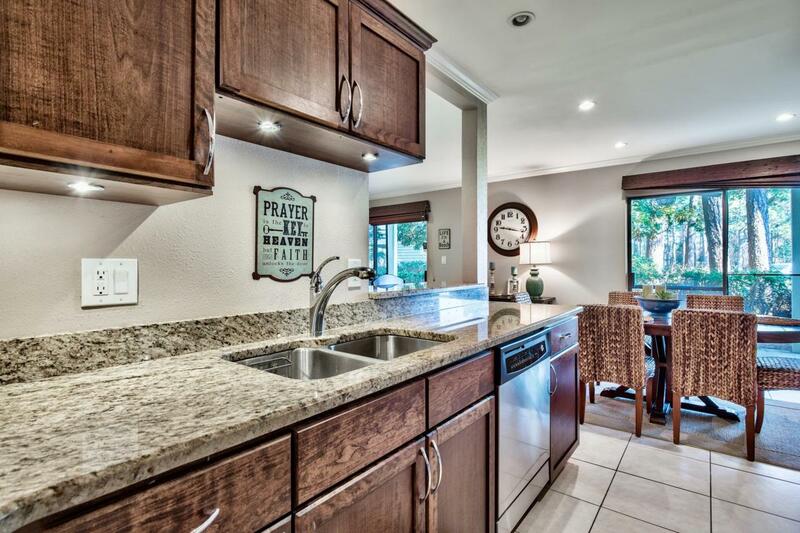 Located on Seascape Golf Course, this ground floor condo is in a beautiful 300-acre gated resort community. 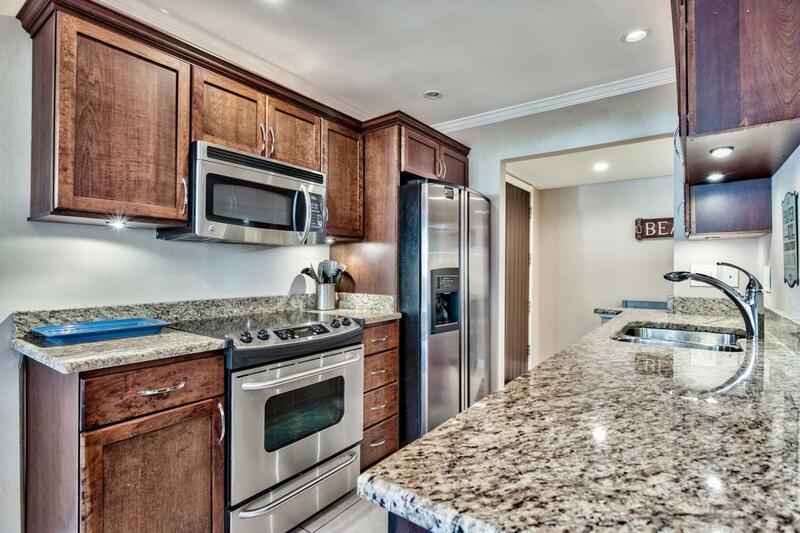 Cool tile flooring and granite countertops throughout add a high-end finish to this 1,110 square foot condo, which has two spacious bedrooms and two upgraded baths. The open-plan living/dining area includes a modern fully-fitted kitchen with dark wood cabinets, stainless appliances and an informal breakfast bar. Chill out with drinks on the large covered porch and enjoy the peaceful green views. 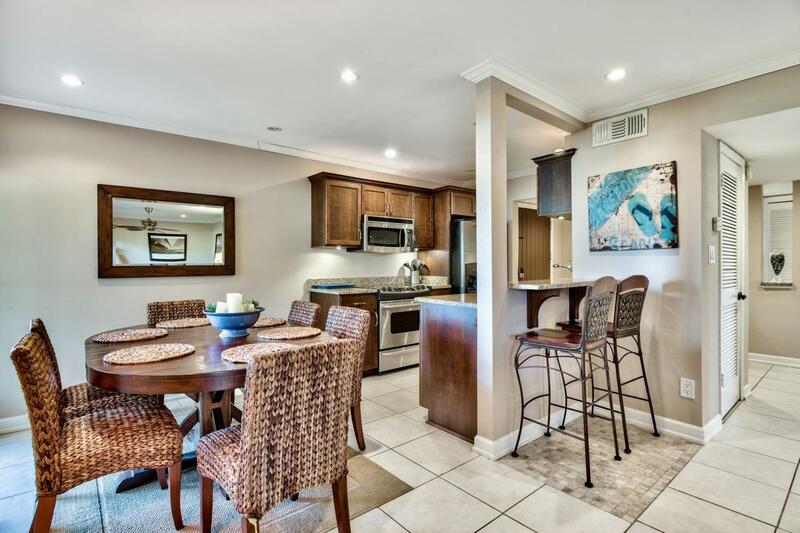 Evenings can be spent watching TV in the sitting area in a relaxed ambience created by the neutral decor with contrasting crown molding.This well-positioned condo comes with access to all the amenities of Seascape Resort which boasts tennis courts, golf and deeded beach access. Relax in the sunshine on 2,000 feet of private beach frontage; take morning walks or sunset strolls along the soft white sand. Sports enthusiasts can join neighbors at the basketball court or swim a few laps in the swimming pools. In the evening, head over to Seascape Towne Centre. This new commercial center offers 55,000 square feet of retail therapy, live music and family-friendly entertainment on the plaza. Dining experiences cover every whim and taste, from Acme Oyster House to Mezcal Mexican and Moo La-La Ice Cream. 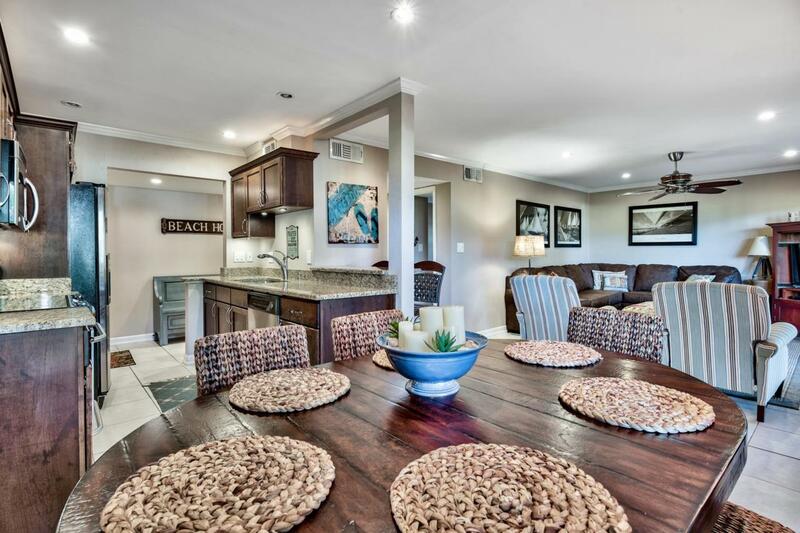 Beyond the resort, Highway 98 provides easy access to Miramar Beach and Destin, where fishing charters, shopping malls and seafood restaurants abound.